Liars have come a long way from They Threw Us All In A Trench And Stuck A Monument On Top, their remarkable debut (sixteen years ago! ), jumping between styles and locations and obsessions, and shedding members along the way. Following a lengthy period working as a trio, Liars is now Angus Andrew, alone and back in his native Australia and crucially working apart from long-term collaborator Aaron Hemphill. 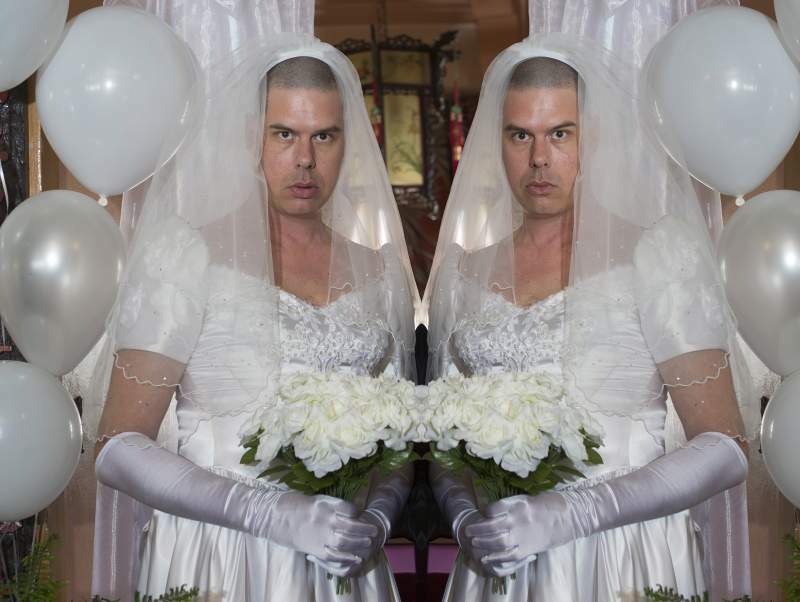 TFCF (Theme From Crying Fountain, as a teaser campaign has since revealed) is the first album in this new incarnation and the whole album – recorded in near-isolation – is being seen as a post-creative-divorce burst of soul-searching, regret and rebirth (check out Andrew in a wedding dress on the cover) and references to Beck seem to dominate the generally positive reviews. How Andrew and his new live band plan to deliver this new album – and indeed Liars’ hefty back catalogue – in a live setting remains to be seen, but the good people of Newcastle get a chance to find out for themselves when Liars play the Boiler Shop on Sunday 29th October. Support come from the excellent Glaswegian duo Happy Meals, whose occult-informed take on Italo disco has won them national and international attention.